We recently had the pleasure of working with Charles from 4gency, a local video game development company. 4gency specializes in espionage-based games for mobile and tablet platforms. With the launch of their first game Node.hack, 4gency needed business cards that live up to "the world of spies and secrets." We scoured the web for redacted documents in the name of "research," and had a lot of fun doing it. 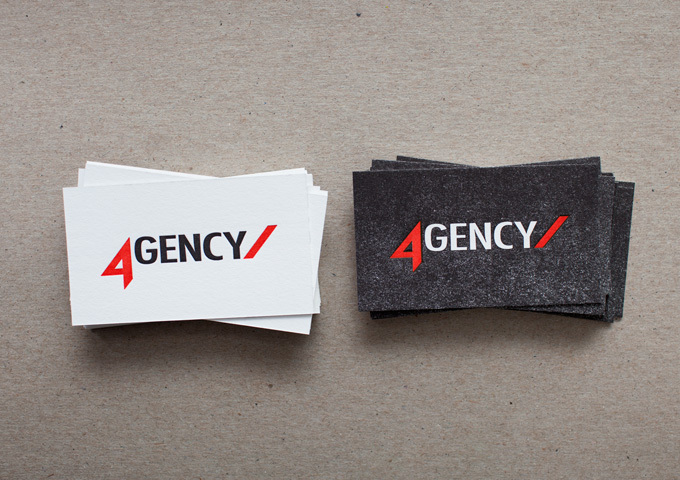 This is undoubtedly our favorite business card job to date. I love how the texture of the paper and printing comes through in the black card, and the stark contrast of colors on the white card. It's eye candy, man. This is one of those jobs that exceeded my expectations. I love when I get the chance to let my printing press do her thing! Your objective? Check out 4gency's great new site, and play Node.hack!